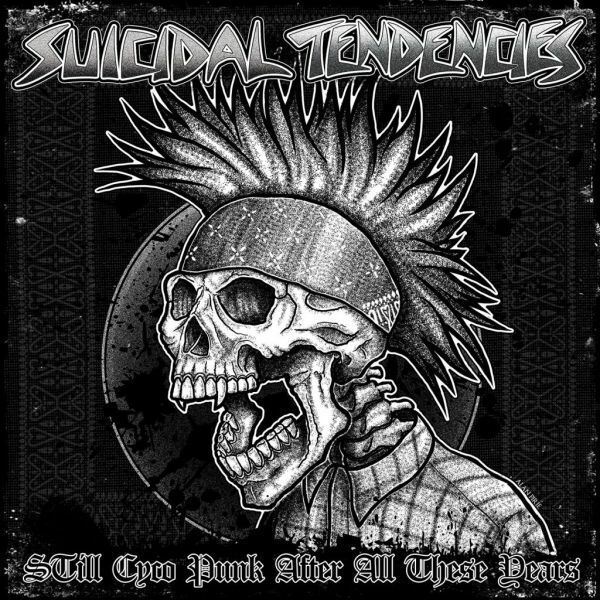 SUICIDAL TENDENCIES - STILL CYCO PUNK AFTER ALL THESE YEARS (CD US-IMPORT) | Online Shop | Wizard LTD. Album: "STILL CYCO PUNK AFTER ALL THESE YEARS (CD US-IMPORT)"
Still Cyco Punk After All These Years is the thirteenth studio album by the American crossover thrash band Suicidal Tendencies, released on September 7, 2018. This is a near-complete re-recording of frontman Mike Muir&apos;s 1996 solo debut album under the moniker Cyco Miko, Lost My Brain! (Once Again); the only tracks from the original album not included are its last two tracks "Cyco Miko Wants You" and "Ain&apos;t Mess&apos;n Around" (the latter, however, can be found on the Get Your Fight On! EP along with "Nothin&apos; to Lose"), while "Sippin&apos; from the Insanitea" was previously never released. The latter track uses the same basic musical structure as "Cyco Miko Wants You", but with brand new lyrics and a different vocal melody. The album&apos;s title is a play on Suicidal Tendencies&apos; 1993 album Still Cyco After All These Years, which is also a collection of re-recorded and unreleased material. 4. "Sippin&apos; from the Insanitea"
6. "Lost My Brain…Once Again"
9. "Ain&apos;t Gonna Get Me"
10. "All I Ever Get"
11. "Save a Peace for Me"